Projects, deadlines, traffic, family responsibilities, …pulling you in all different directions? Come De-stress in our Golden Turtle Farm getaway. 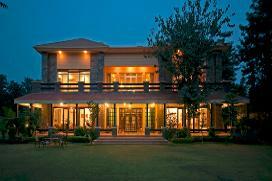 45 minutes from Gurgaon off NH-8, our farmhouse is set in 4 acres of beautifully landscaped land. 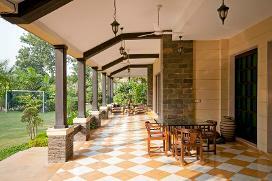 Ethnic decor with all the modern comforts, this quiet getaway is just what the doctor ordered! Six comfortable rooms, a book nook, a TV/DVD lounge, balconies and patios make this ideal for a quick family retreat, or a small corporate brainstorming session, or catching up with busy friends, or jamming with buddies! 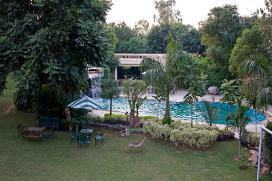 Our farm offers a swimming pool, a putting green, a small soccer field, and the cuisine is from the owner’s own kitchen.